Re-purposed Mail Box. I bought this for a dollar at a garage sale. Found the cross at the store for half price. 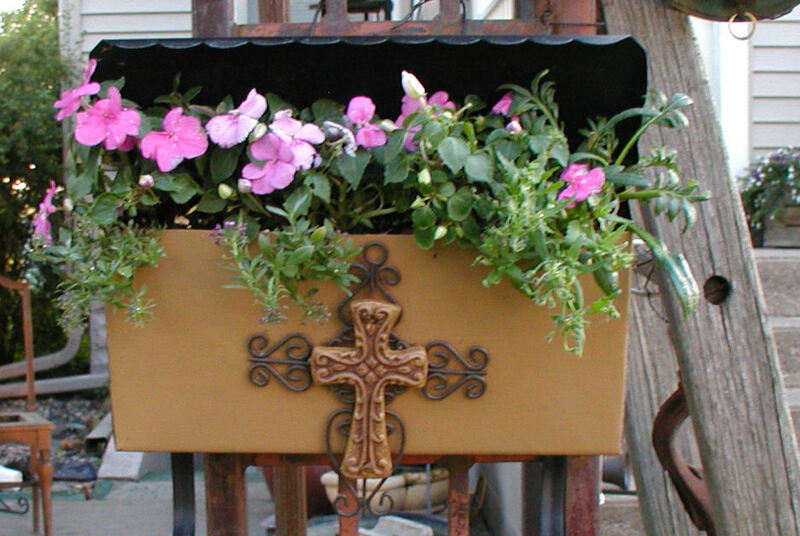 Painted the front of the mailbox and added the cross, stuffed it with flowers and there ya go!